IT’S IN: US DEBT OVER 100.3%, NOW 15 TRILLION 222 BILLION IN THE RED…….. – The Tundra Tabloids……. 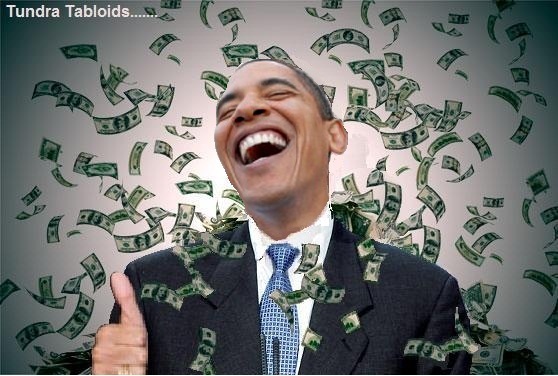 IT’S IN: US DEBT OVER 100.3%, NOW 15 TRILLION 222 BILLION IN THE RED…….. Zero Hedge: While not news to Zero Hedge readers who knew about the final debt settlement of US debt about 10 days ahead of schedule, it is now official: according to the US Treasury, America has closed the books on 2011 with debt at an all time record $15,222,940,045,451.09. And, as was observed here first in all of the press, US debt to GDP is now officially over 100%, or 100.3% to be specific, a fact which the US government decided to delay exposing until the very end of the calendar year. We wonder, rhetorically, just how prominent of a talking point this historic event will be in any upcoming GOP primary debates. And yes, technically this number is greater than the debt ceiling but it excludes various accounting gimmicks. When accounting for those, the US has a debt ceiling buffer of . . . $14 billion, or one third the size of a typical bond auction. Previous Post Previous Post A BLAST FROM THE GREAT ONE: MARK LEVIN: IF RON PAUL GOES 3RD PARTY I’LL CAMPAIGN AGAINST HIS SON RAND…….